There couldn’t have been a more fitting backdrop. The Marlins had the worst record in the National League and the fourth-worst record in all of Major League Baseball last season, and just traded away the best player from their 2018 club — catcher J.T. Realmuto — to the Philadelphia Phillies. And oddsmakers say the Marlins will be one of the longest shots in baseball this year, which didn’t amuse Jeter. He’s clearly not expecting to get his hands on the World Series trophy this year. That doesn’t mean he’s accepting another woebegone year as a foregone conclusion, either. 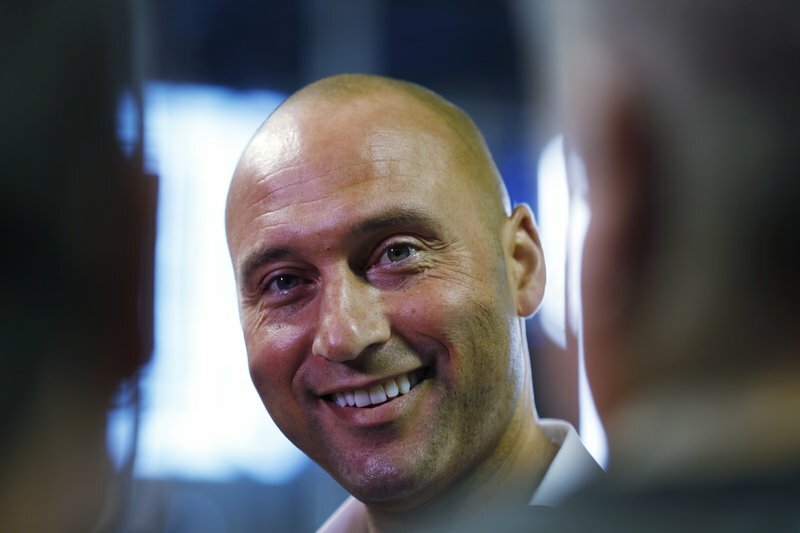 Jeter spent his first season observing and learning, often very quietly. He helped craft a plan that the Marlins say they’ll stick to: build an organization from the bottom up, stock what was a badly depleted farm system with prospects, give young players who merit a shot a chance at performing in Miami and hold absolutely everyone accountable. This season, he’s hinting that he may be more involved with players. He learned in 2018. He may teach more in 2019. What he’s selling, people are buying. The Marlins vow they’re going to make the experience at home games — where attendance dipped to franchise-record-low numbers in 2018, partially because the team was bad and partially because the new ownership group began revealing far more accurate ticket numbers than was done under the previous regime — better this year. The team is trying to better embrace the Latin flavor of Miami, and want fans to even feel comfortable bringing instruments to games if so inclined. And if Jeter has his way, the refurbishing of the team won’t take long.